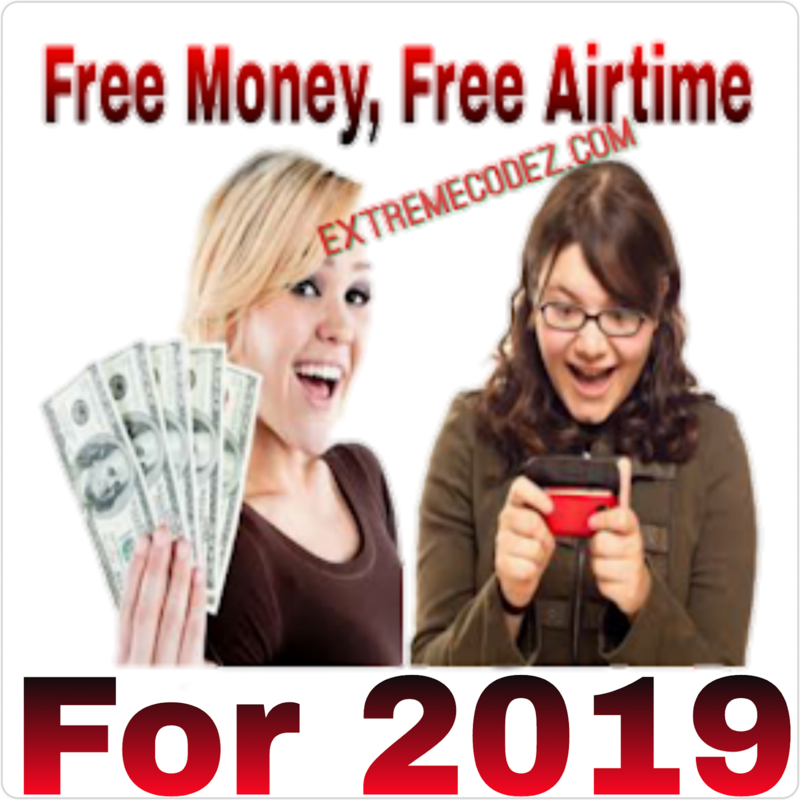 Hello guys, hope you guys are enjoying the latest free data app that we posted months ago, many people where able to get huge amount of gigs and while some are still getting, although you can only get this free data if only you refer a friend. Those who are already using the Dent Coin will notice the sudden drastic increase in the price of data (an increase of 75%) without increasing the value of the dents purchased, this is really bad because it made the already purchased Dents useless. Dent administrators need to calculate our old dent coin value and update it to the new value, in order not to lose users. For those who are finding the means of getting MTN, 9mobile, Airtel and Glo free data bundle, then your sure bet should be on the DENT. All you have to do is to share your referral code and the free data is yours. 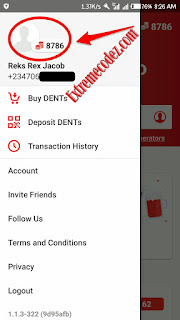 If you are new to Dent and you want to know how to get free data on all networks, simply follow the instruction below. How Can I Get 1200 Dents Per Referral? It used to be 310 Dents per referral, but presently it's now 1200 Dents per referral! All you need to do is download Dent app from the link we provided you below. 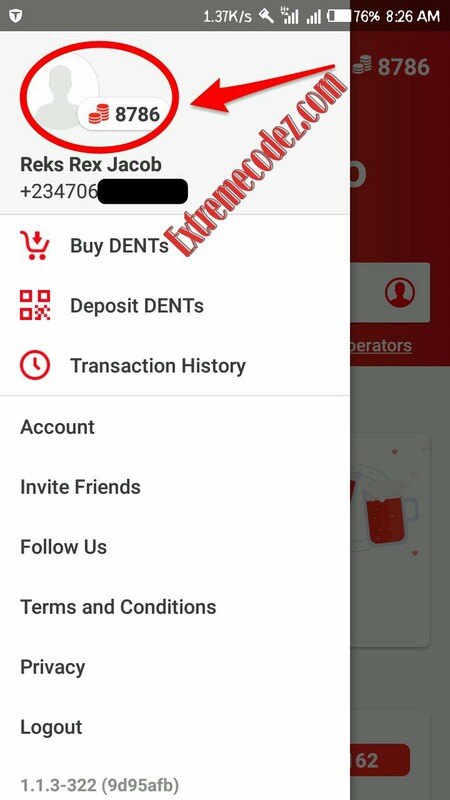 The app is however, designed by Dent Wireless Company. 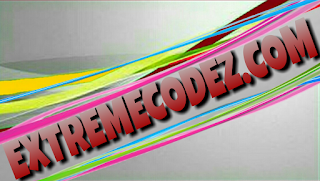 It's a trusted app with over 100+ thousand downloads on Playstore. The 1200 dents can allow you buy heavy and cheap mobile data available on their recommended deals. Moreover, you have to refer more to earn plenteous of it. Now, you will you be given 1200 dents for referring yourself and tap on "REGISTER" to signup a new account with a new number (make sure the number can receive a verification code). After successful verification in which they will send you a code to input in the app, then you will given another 1200DENTS for account opening, while your friend that refer you will be credited with 1200DENTS. InstaNaira App, Zoto, GeoPoll, TopUp Africa and Mcent Browser Unlimited Free Data For All Network You Can Now Get 500 Dents Per Referral.